My own subchoice among the 650 words applied to dog breeds, already entered in the dictionary obviously, but here put under a new light. Another matter of words seemed inevitable as a follow-up to last week’s Spanish Language Congress in Córdoba, in English this time around. It is not intended only as an escape recourse to remove oneself from this ballyhoo (now there is an interesting word) of an election campaign. 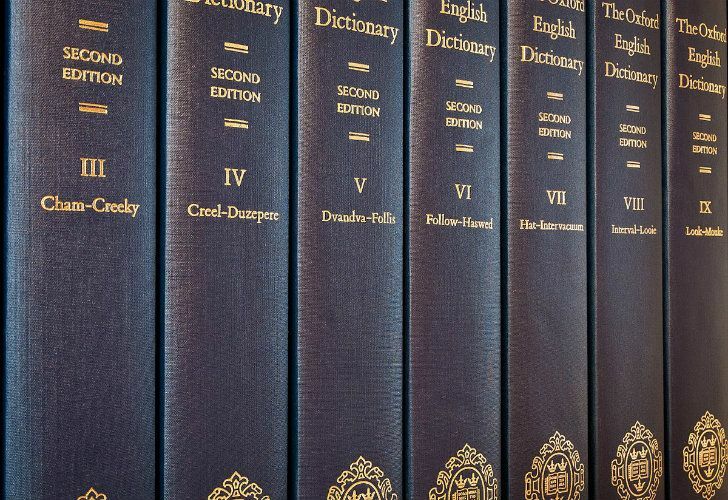 There was also the March update, two weeks ago, by the editors of the Oxford English Dictionary, who have added 650 new words in the last quarter to the third edition of the OED. Before going any further, there is that word, ‘ballyhoo,’ which I like. It sounds old-fashioned, but it is still in use. It is the name of a rock/pop/punk group formed in Aberdeen, Scotland, in 1995. They’re still active. The Ballyhooligans are touring the United States next week, in fact. The word is conveniently applied to a noisy gathering or an excited commotion, but ballyhoo has about 40 synonyms to be found in the dictionary. A ballyhoo is also a fish used mainly for bait, found off Florida, United States, in shallow waters but also on both sides of the Atlantic. That could all sound like codswallop, a word for a load of nonsense which originated in a kind of soft drink in the 1870s. Back to the additions to the OED. 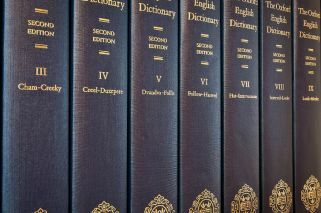 Details of the words and their reason to be are given in an article by the OED senior assistant editor, Jonathan Dent. Now there’s a name with its own history in publishing in the English language. 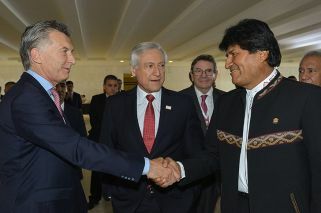 And to bring back a connection with the Córdoba jamboree, among the 650 words added are included ‘Latin@’ (looks like our ‘chiques’ or ‘chic@s’) and ‘peoplekind.’ Presumably the first word is made from ‘Latinos,’ gender-free, and the second occasionally used but now given formal entry to replace ‘mankind.’ Both are working reminders of the arguments that raged in Córdoba over the advisability, or not, of using “inclusive” language. The Baltimore Sun, in United States, once conflated ‘him’ and ‘her’ to make ‘hir’ in 1910, but that was abandoned after a time. My own sub-choice among the 650 words applied to dog breeds, already entered in the dictionary obviously, but here put under a new light. Apparently right up to the 19th century dog breeds were not clearly identified, and more often were described simply by size, spirit and sheer strength or utility, as in chasing rats, rabbits or foxes. It was then, in the 19th century, that the idea of specific names for dog breeds came into use. Many names that apply today were given to pedigree varieties introduced by Victorian breeders. However, given that there is a growing number of shapes and styles of dogs, crossbred from two existing pedigree breeds, the new lot have received official editorial blessings and are now in the dictionary. But, moving on, and nothing to do with OED entries or breeding lap dogs of various sizes and behaviour, there is another quote on language which, if I do not bring it in here, specifically, I might lose the opportunity to do so. There, having praised Delaney I’ve nearly run out of space, but I wanted to draw attention to a book by Thomas S. Mullaney, The Chinese Typewriter: A History (MIT, 2017). Jamie Fisher, writing in the London Review of Books, describes how a major problem in the beginning was how to fit a language with 40,000 characters into a western-style desk machine, for which development in the West had got under way about 1850. The earliest experiments in Chinese had begun in 1888. It was a stressful job in transformation to achieve a typing outfit. “The début, in 1956, of the reformed Chinese typewriter, with a natural-language tray bed (and about 4,000 characters) that anticipated a vernacular-speaking typist, coincided with the government’s approval of the First Round of character simplification, a series of structural tweaks and standardisations intended to boost literacy.” Take it from here.